Anita Sheth, Senior Advisor of Social Compliance Development with Fair Trade International addresses attendees at STC’s Human Trafficking Symposium in 2017. This year’s 14th annual event, The Nexus of Exploitation: The Global Economy, Human Trafficking, and the Marginalized, will take place March 31 to April 2 at STC’s Cooper Center. This year’s conference will begin with a screening of Academy Award-winning film Roma on Sunday, March 31 at 5 p.m. followed by a panel discussion with the National Domestic Worker Alliance. The event will then kick off with a full slate of topics and presentations from 8:30 a.m. to 5 p.m. on April 1, and will conclude on April 2. 3201 W. Pecan Ave. McAllen, TX. 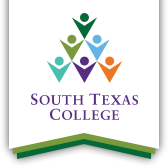 Who: Co-organized by the Women’s Studies Committee of South Texas College, the University of Texas- Rio Grande Valley Department of Criminal Justice, Texas Department of State Health Services–Office of Border Public Health and many others.